Home / Scents / Accessorize Lovelily Eau de Parfum. Accessorize Lovelily Eau de Parfum. 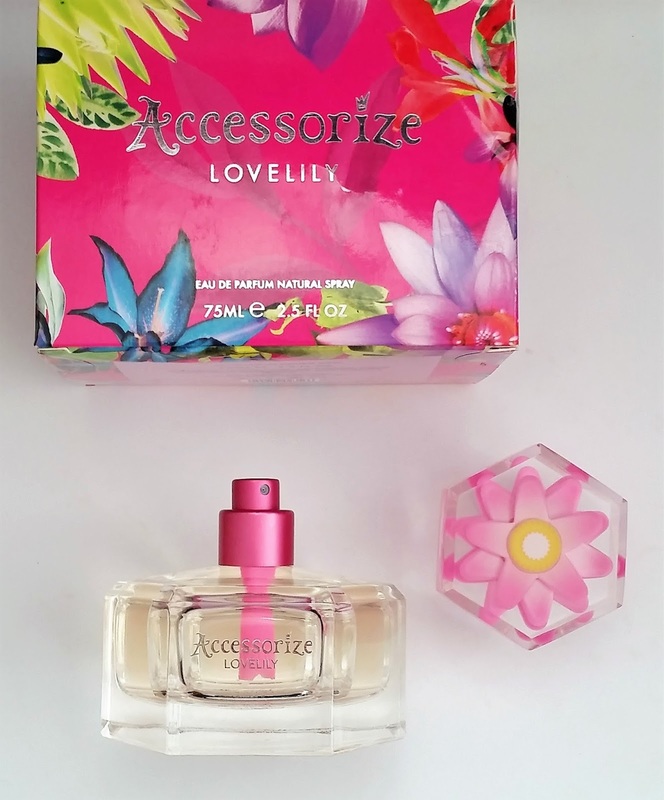 Lovelily by Accessorize is a floral fruity Eau de Parfum for women. 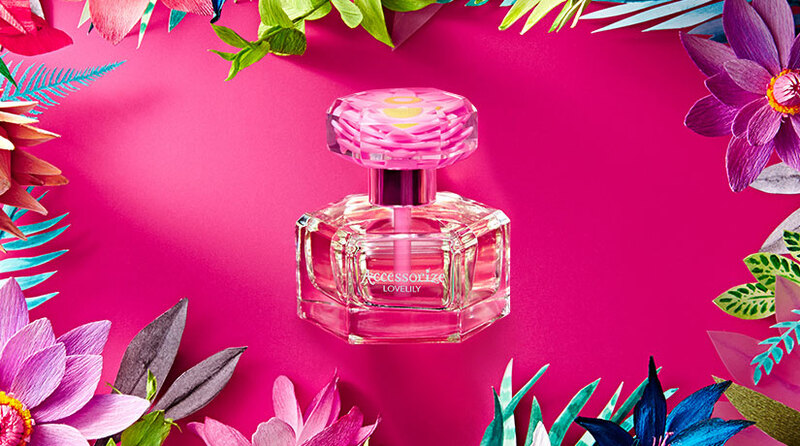 The scent is kept safe in the bright bold pink packaging that is adorned in print coloured flowers. Holding the weighty hexagon shaped bottle it fits perfectly in your hand, with Accessorize Lovelily in silver text featured on one of the sides. The spray head cover is clear with a main pink lily captured inside adding a special and unique touch, before taking this off to reveal a metallic pink spray head. Lovelily by Accessorize opens up with its fruity tops notes bergamot, raspberry and orange before moving onto its floral middle notes lilly-of-the-valley and jasmine. The florals and fruity notes can be detected individually, but work in harmony together, mixing perfectly with the base notes vanilla and musk. The best place to apply your Eau de Parfum is the pulse points on your body (where your heart rate can be felt) are the best spots to apply, due to the warmth of your blood. Pulse points are located behind your ear, at the bottom of your throat, on your wrist, inside your elbow, and behind your knee. One spray of Lovelily by Accessorize is enough for you to fall in love with this floral fruity scent that is appropriate for any age range and season of the year. The diffusive scent spreads quickly and fills the space around you whilst lingering around you all day, quite impressive for an affordable scent.The main accords of Lovelily are sweet, vanilla, floral, citrus and musk, helping it be a must have Eau de Parfum for your own scent collection or a gift for someone else's. X Neil.